Sandgate has a long shingle beach with with easy access. Quiet in winter, it can become busy in the summer with tourists and swimmers. Access to the beach is easy, with street parking running along the western side of the beach. Towards the east end of the beach there are a couple of car parks. There are no problems with launching and no groynes to worry about at high tide. The beach here is shingle most of the way down to low tide where sand and mud shows and some rocks become uncovered. At the top stage of the tide the beach profile is quite steep, making it unsuitable for beginners who need to stand up. However, Camber Sands is only a short way round to the west. When the tide drops, the beach flattens out slightly. 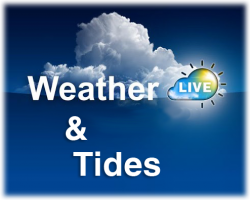 The beach can be used on all tide states and in winds from the south west, to east, via the south. However, the best wind is from the south west. When this beach is unusable, Greatstone may be a better option.